For #SecretLivesWeek, here’s our roundup of the best planners out there. 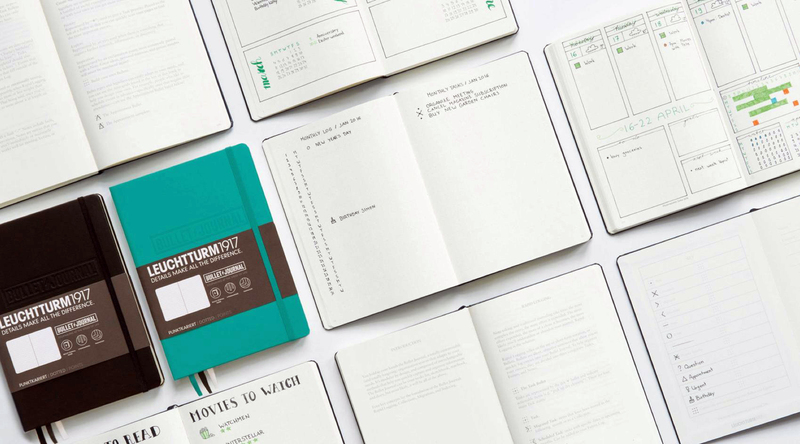 Whether you have a night gig, an artistic hobby, an obsessive-level sport, a superhero alter ego or all of the above, here are our favorite daily, weekly and monthly planners to manage everything you have to–and choose to–juggle! 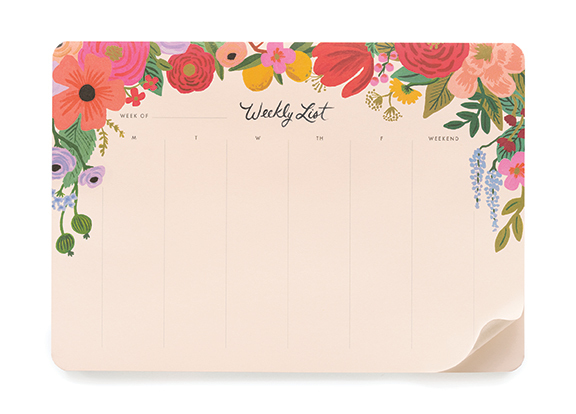 With several pretty designs and an uncomplicated layout, this tear-off desk pad is great for making daily to-do lists to last you all week, or just mapping out your priorities for each day. The possibilities are endless! While the company also has a similar (and matching!) Weekly Meal Planner, there’s nothing stopping you from using the Weekly List pad for that too. And at the start of each week, nothing makes us feel like a superhero more than tearing off the old sheet. The best part is if you fall off the wagon for a week (or two) (or forever) you can just pick up where you left off. Undated sheets mean no shameful blank spots! $12 for a 52-week pad, at riflepaperco.com. Described by Vogue Magazine as “KonMari for your racing thoughts,” we love the way a Bullet Journal method (whether using the official Bullet Journal or any dot-graph paper notebook) combines individual creativity with an almost meditative approach to personal organization. Plan the logistics of each day, visualize goals and turn the mess of everything you’re trying to remember to accomplish into relevant lists. The core philosophy is to reduce the extra stuff, very on trend for this KonMari-crazed moment. Bullet journaling aims to help you reflect on the things you routinely do not complete, and whether you’re still motivated to migrate your unfinished tasks to new lists, or re-evaluate your priorities. 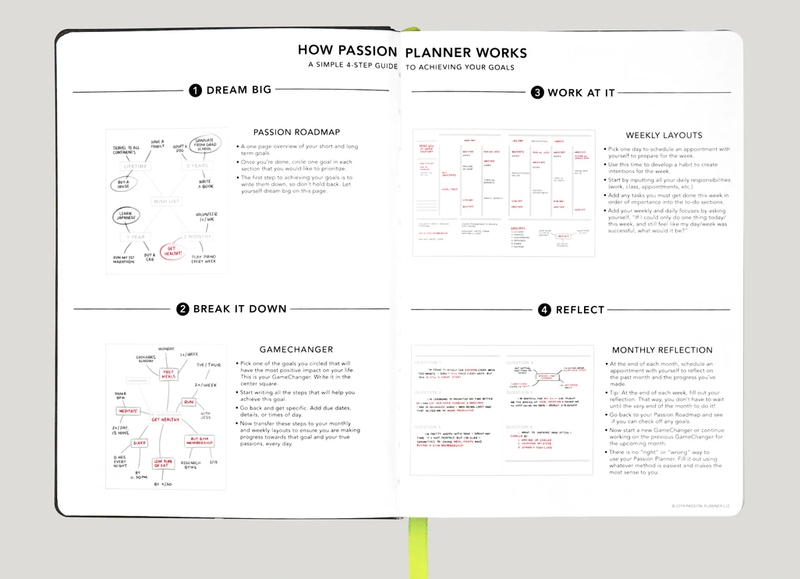 With three traditional options (dated, academic and undated), the passion planner looks unassuming enough on the outside. 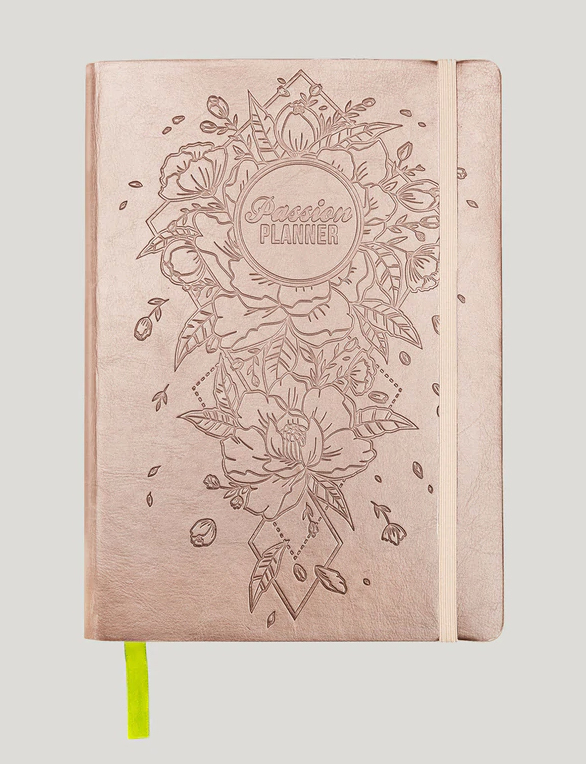 But it’s more than just a planner (just like you’re more than just a to-do list accomplish-er). Set long-term and short-term goals, motivate yourself with sketches, log your gratitudes and reflections, and so much more. 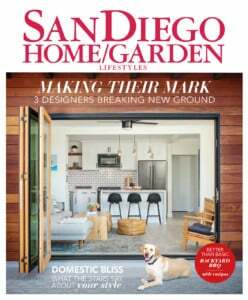 It’s a big, sturdy book, and we love how it acknowledges that many of us need to juggle personal and professional calendars, to-do lists and more. If you’ve ever thumbed through the planner displays in a retail shop and kept track of all the features you probably wouldn’t use, or desperately searched for a planner that had a spot for a specific category, chances are, you’re not alone. And chances are, a DIYer has designed their own and have it online, ready to share. And if you’re new to the world of online printables, we love this Pinterest board full of printable planner sheets and sets. Some options are free downloads, or available for relatively inexpensive fees. Sometimes the standards still deliver. 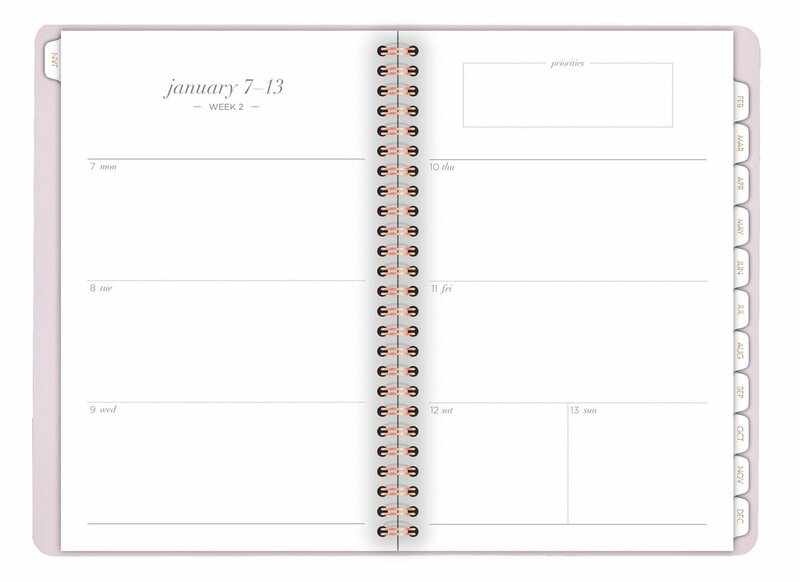 This practical–yet luxuriously fine-tuned–planner can be found in Target and office supply stores. 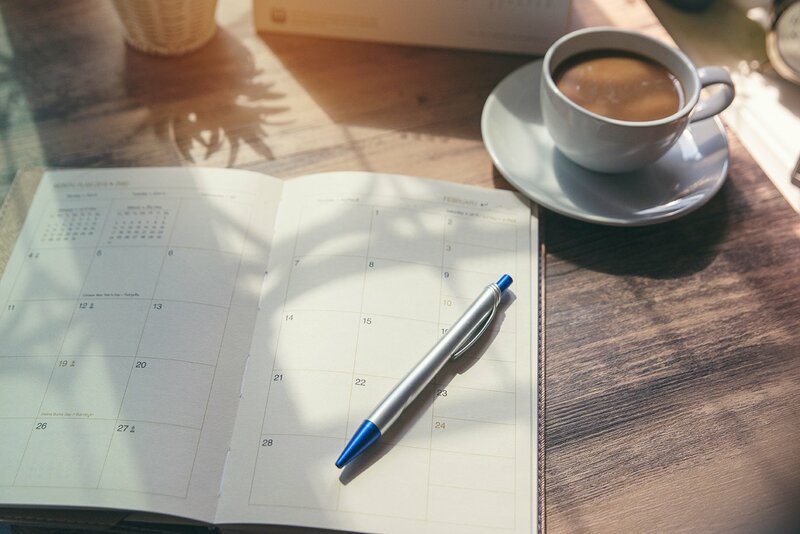 With a monthly calendar overview, plus weekly pages with ample space for daily to-do lists, scheduled events and more, this is a no-fuss system if you don’t want to fuss around with setting goals or tracking motivation in the same space as your childcare schedule.